In the Fall of 1990 journalists started mentioning a new product from Farallon. That corporation, a commercial spin-off of the Berkeley Macintosh Users Group (BMUG), successfully marketed products such as the PhoneNET LocalTalk cabling system and the MacRecorder/SoundEdit microphone system. Their new idea was a “print to disk” utility — the precursor to the ubiquitous PDF standard which Adobe would usher in 1993 with Acrobat. It was called DiskPaper, and it never shipped. DiskPaper had a kind of ghostly presence throughout 1991, hitting mail-order software catalogs with a listed price of $88, and even garnered a mention in a March issue of MacUser looking forward to that year’s Eddy Award contenders. Other previews put the list price at $149. Key features that most remarked upon inclued the ability to save documents as self-launching applications — a different model than the free Reader solution that Adobe would eventually settle on — and the notion that files kept their color and fonts intact when distributed. In place of the Chooser-level PDFWriter, Common Ground offered “CG Maker” as a printer driver for the direct export of files to the new format. Users could choose to password-protect the resulting file, or (synergy alert!) attach a voice annotation to it via MacRecorder. This was the first (and only?) 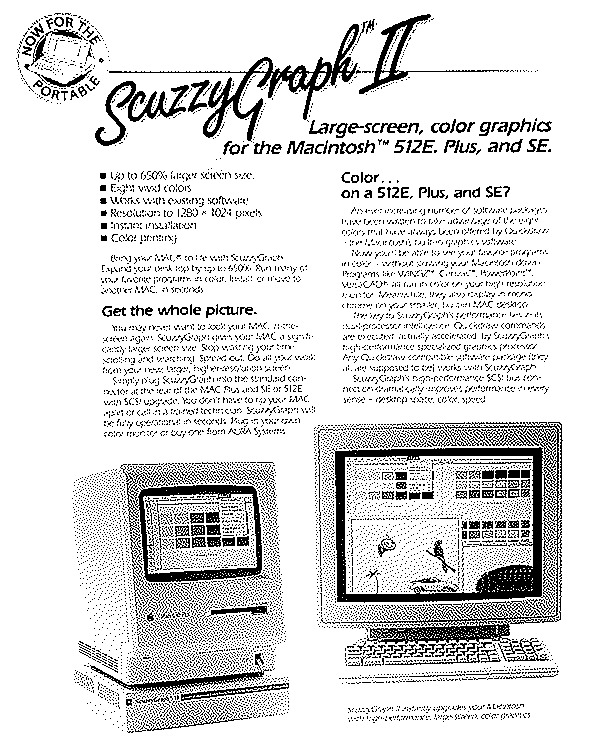 MacWorld held in Washington DC, advertised in the 1988 Boston expo program.